All options include 18 weeks of classes and a t-shirt or tank! ​Attend 1 interval training session** a week with an add-on endurance run. 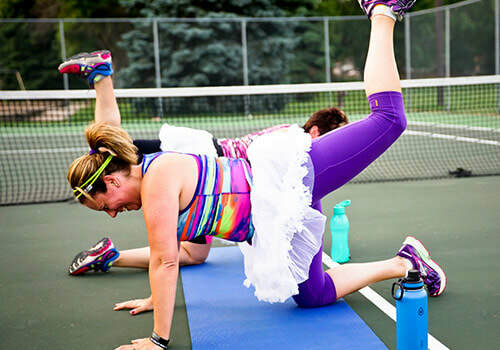 Attend any amount of classes each week at either our Downtown or Lake Harriet locations! ​Attend up to 20 classes** during the 18 week program. Choose any combo of classes. * This option is intended for those who are interested in regularly attending the same class time each week. 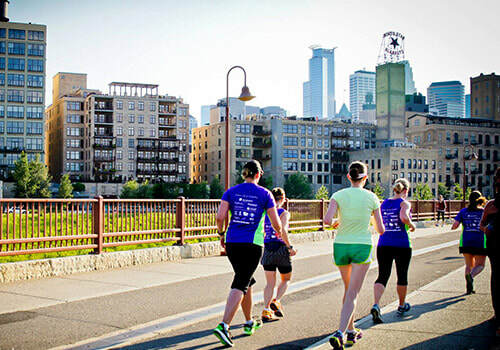 ​**Choose either Lake Harriet and Downtown for all classes. For flexibility to go between sites, please see our Ultra Unlimited Plan. Coach Lacey is the Head Coach for Moms on the Run Minneapolis-Lake Harriet. She started running with Moms on the Run in 2016 but has had a lifelong relationship with running. Her mantra the first day of 7th grade track was..."GO GO GO!" After running track competitively throughout high school career she transitioned to a more of a casual, "fitness" runner in college. But in her twenties started goal setting by running 1/2 marathons. She wants to share her passion for running, and to make it fun! She is adventurous, fun and loves to laugh, smile and give. She loves any hobby that gets her moving as well as spending time with her two sons. Coach Tricia is excited to return to coaching for Moms on the Run Minneapolis and is our new Head Coach Downtown! Prior to joining Moms On the Run she was a very casual runner and struggled with staying consistent in her running. After joining Moms on the Run she finally found the motivation and consistency she needed. Since joining she has run three marathons, six half marathons, several Ragnar Relays, and several 5ks, 10ks and 10 milers. She can finally say that she loves to run! She loves spending time with her husband and two daughters. She strives to simplify life so that she can live in the present and enjoy every day. She looks forward to encouraging other women to meet their running goals, whatever they may be. Coach Debi joined Moms on the Run in spring of 2016 and hasn’t looked back. She started running in her early 20s, but fell out of practice during graduate school. She tried many times to get back into a running a routine, but just couldn’t find the motivation to stick with it until joining the program. 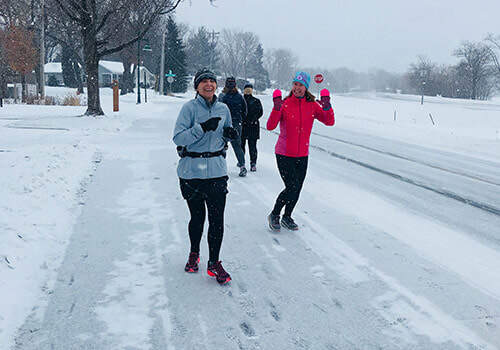 Moms on the Run provided the friendships and encouragement she needed to keep after it and she has run many 10Ks, 10-milers, and half marathons since. Debi keeps busy as a middle school teacher by day, and in her free time loves reading, traveling, walking her dog, Berta, and hiking in the many beautiful state parks.